Opponents of this month’s scheduled wolf hunt are preparing for Friday’s start of the hunt. The hunt will take place in three specific zones of the Upper Peninsula. State wildlife officials hope hunters will kill 43 wolves during the hunt. 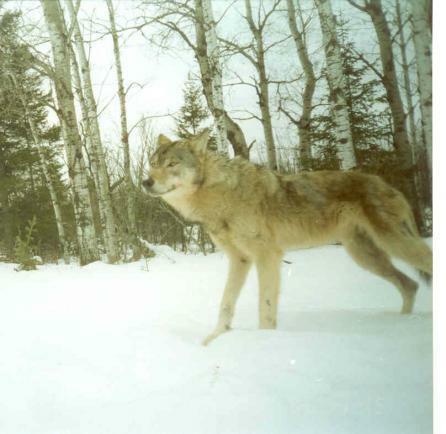 There are an estimated 658 wolves in the U.P. Jill Fritz is the state director of the Humane Society of the United States. “We’ll just continue to educate the public about this and make sure the people know that this entire wolf hunt that is happening is based on lies, deception and fear mongering,” says Fritz. A candlelight vigil is planned in Mt. Pleasant for the night before the hunt begins. Meanwhile, a petition drive continues to put a question on the ballot next year to challenge the law authorizing the hunt. Here's the wolf story as it appeared in a 2011 resolution asking Congress to remove federal protections for wolves in the western Great Lakes region. On yesterday's program, we spoke with MLive writer John Barnes about his series of stories this week on the upcoming managed-wolf hunt in the Upper Peninsula. The managed hunt is a first for Michigan. During the interview, John Barnes referred to a statement made by the MDNR's fur-bearer specialist, Adam Bump. In an interview last May with Michigan Radio's Steve Carmody, Bump told him about ways in which wolves were frightening residents of Ironwood, in the Upper Peninsula, but in speaking with John Barnes,Bump said he misspoke. Adam Bump joins us to explain just how that happened. John Barnes, a reporter at MLive, described the reasons given for characterizing the push for a hunt in that way. One falsehood he found was a quote given to Michigan Radio's Steve Carmody by a Michigan Department of Natural Resources official last May. 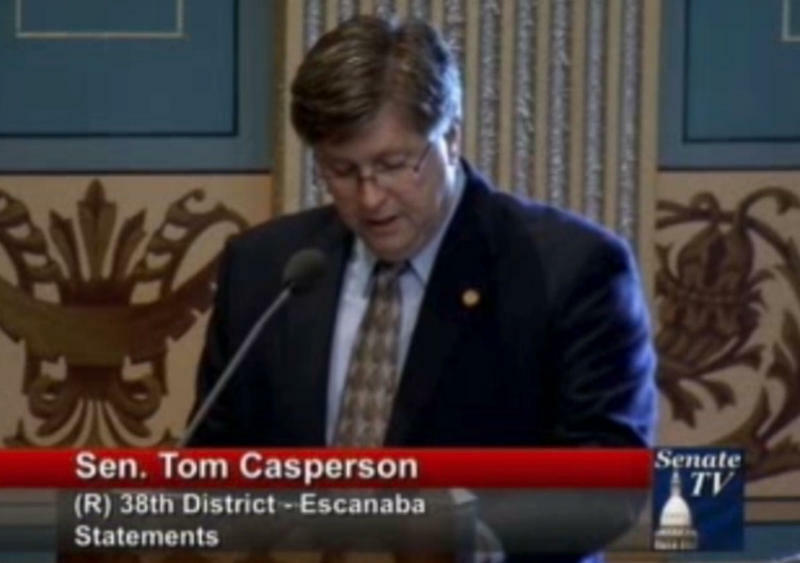 Carmody wanted to know if the town of Ironwood, Michigan really was afraid of wolves, after State Senator Tom Casperson (R-Escanaba) said the town was "living in fear" of the wolves. Bump now says he misspoke. Michigan Radio tried to reach Bump for a comment, but he was not available to us. During an interview on today's Stateside, John Barnes said Bump was confused during the interview. "He was thinking about a separate incident that did not even occur in Michigan. It occurred in Denver. It had to do with a book he was reading, and he just tripped over his words, he says. And did not mean to infer that wolves are showing no fear of humans. In fact, we checked, and there's no such incident that has been recorded like that in the city of Ironwood. And Adam acknowledges that he made a mistake on that," said Barnes. Barnes also writes about other problems with the argument for a hunt, including the fact that one farmer in Michigan's Upper Peninsula "accounted for more cattle killed and injured than all other farmers in the years the DNR reviewed." 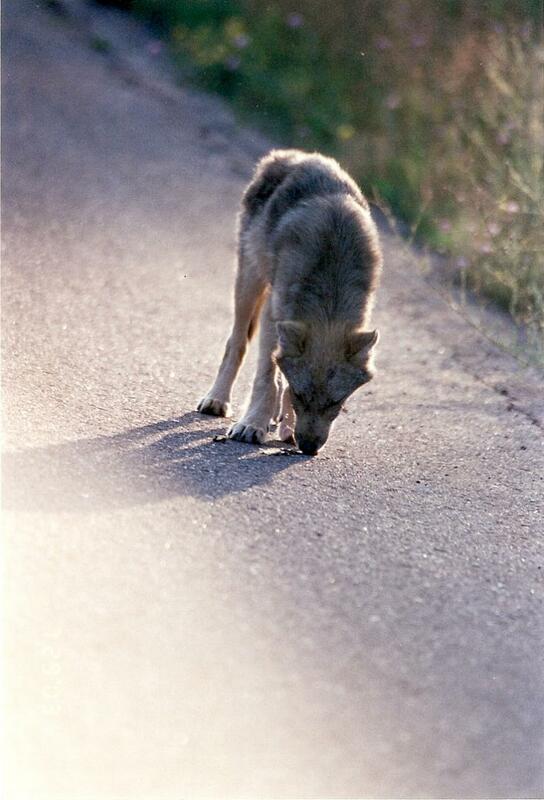 One of the most emotionally charged issues in Michigan in 2013 has been the wolf hunt. Forty-three wolves can be killed in three zones in Michigan's Upper Peninsula where officials say they have the most problems. During the legislative debate on the wolf hunt, lawmakers from the U.P. spoke with passion about the "fear" their constituents had of the wolves, worrying for the safety of livestock, pets, even small children. This week, the Michigan Natural Resources Commission is expected to vote on whether to authorize a wolf hunt. The hunt would take place in three separate zones in the Upper Peninsula. I traveled to the U.P. to talk with people who live near wolves to get their thoughts on the proposed hunt. 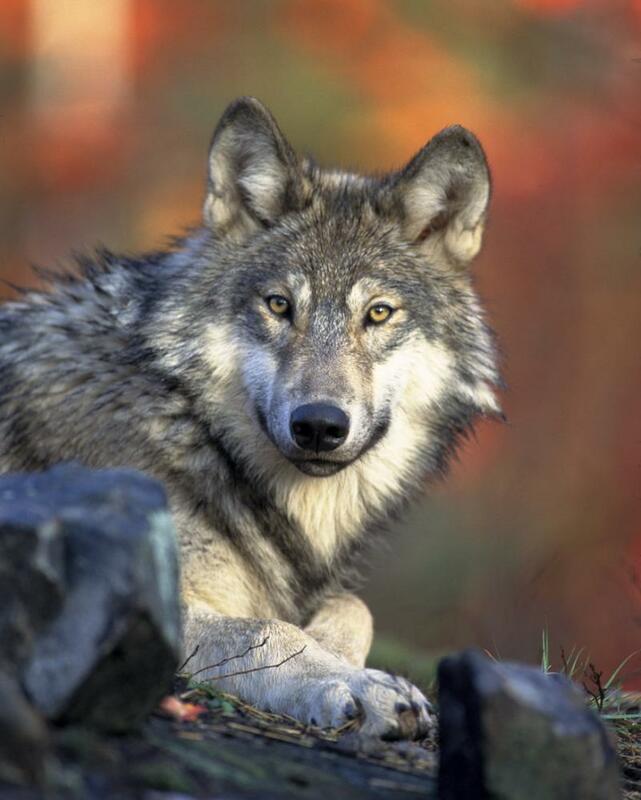 For many years, gray wolves were listed as an endangered species in Michigan. That ended last year. But the battle between the wolves and locals in the Upper Peninsula has been going on for some time.